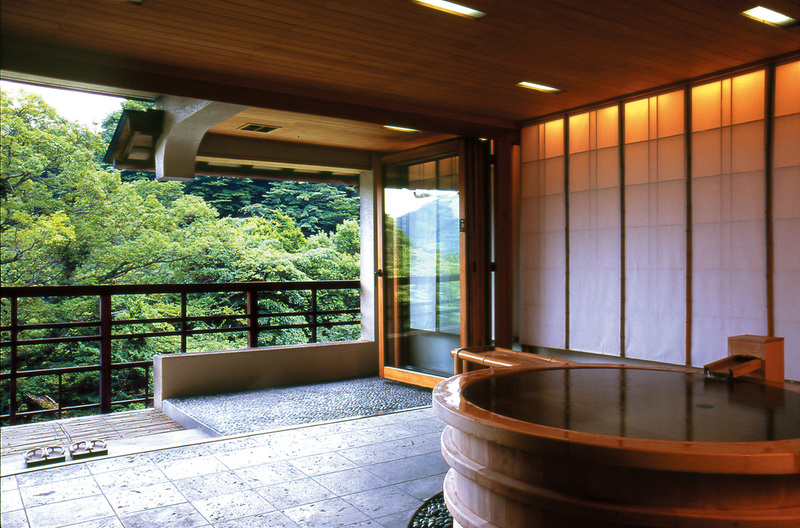 The renowned ryokan inn, Gorakadan, highly esteemed by celebrities from all over the world, blends traditional Japanese architecture with chic contemporary touches to create a relaxed, open ambience. The guest rooms complete with cypress tubs, which allow guests to enjoy a view of the lush greenery surrounding the inn as they soak leisurely in a hot bath, are particularly highly recommended. At mealtimes, you can indulge in the exquisite kaiseki cuisine, incorporating fresh fish and seafood pulled straight from the nearby sea and the pick of seasonal ingredients sourced from all over the country. *If we could not book the requested rooms, we could arrange the other rooms upon your request. * Room charge will varies on New Year’s season.